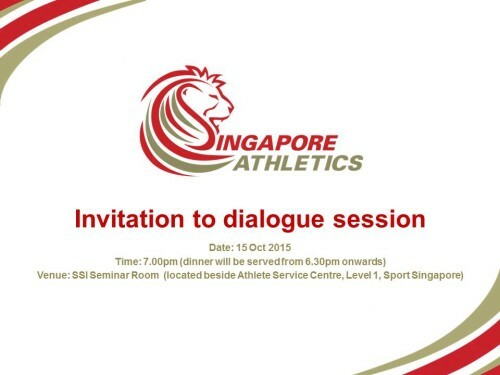 In preparation for SEA Games 2017, Singapore Athletics would like to you to our first Dialogue. Please indicate your interest by emailing SAA or using this online form at https://www.singaporeathletics.org.sg/rsvp. We hope to see you there. Thank you.